Aggregator team at NSoft’s Betting Solutions Platform is looking for new members. Our betting platform mission is to abstract away from complicated relationship between betting product providers, end users and B2B partners inside a single seamless operation, ensuring performant, highly available and consistent transaction flow regarding all our betting solutions. The system sits at the centre of each and every betting transaction and thus represents a central upstream service within NSoft’s entire Betting related operations. – Decomposing current monolithic Symfony2 based application to multiple single purpose components based on Java/Golang. – Rewriting core components based on lessons learned & experiences gained from current setup. – Deployment of dockerized services on Kubernetes. – Minimum 3 years of industry experience in software development . – Experience with database and schema design. – Fluency with any backend server language. – Good grasp of practices that promote efficiency, legibility, testability and maintainability of code. – Experience working with message brokers (Preferably RabbitMQ). – In depth experience with building independent inter-communicating services based on APIs and implemented with RESTful technologies. – Experience with various development tools: IDEs, version control and others on Linux platform. – Self motivated, responsible and an excellent team player. – Verbal and written communication skills (English). – Interest in working in a very cross-functional team that touches many of the core systems and user flows. – 2+ years experience working with MySQL/MariaDB/PostgreSQL/MongoDb. – Advanced knowledge and relevant industry experience in similar products (Highly concurrent financial, payment, accounting or similar systems). – Experience with scaling architecture . – Experience with the micro-services architecture, software containers and related technologies (Docker containers, Docker Compose, Kubernetes). – Experience with build, deployment and development tools. – Insight into Domain Driver Design principles. – Deep insight in Symfony 2+ framework . – Deep insight in Spring framework . “Price doesn’t make deals, and salary doesn’t control your career.” Nevertheless we offer you competitive salaries. There are no limits when it comes to your personal and professional growth? That’s fine with us. Our company offers you sponsored tech conferences and e-learning programs. OK, moving to Mostar is a double “C” factor – Change and Challenge. 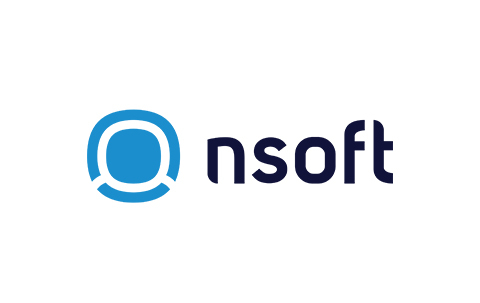 NSoft offers assistance to new employees who need to move to Mostar and a relocation package is an extra bonus. We are building a company where you can hopefully find an alignment in purpose, career growth and community. It’s big. It’s challenging. It’s awesome. And most importantly, it works.